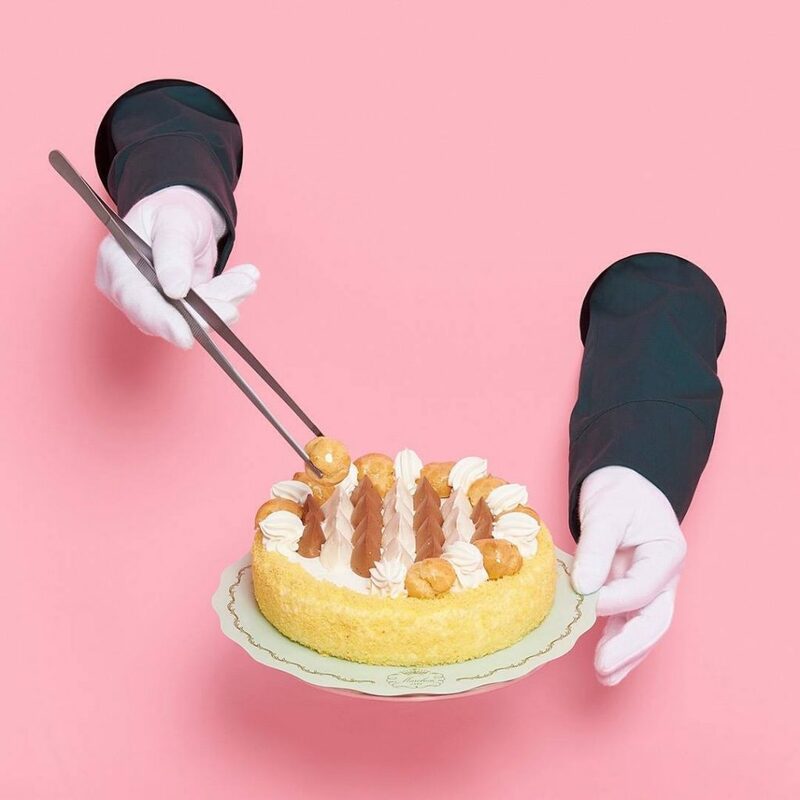 Caution: This article contains many delicious desserts and design worth drooling over! 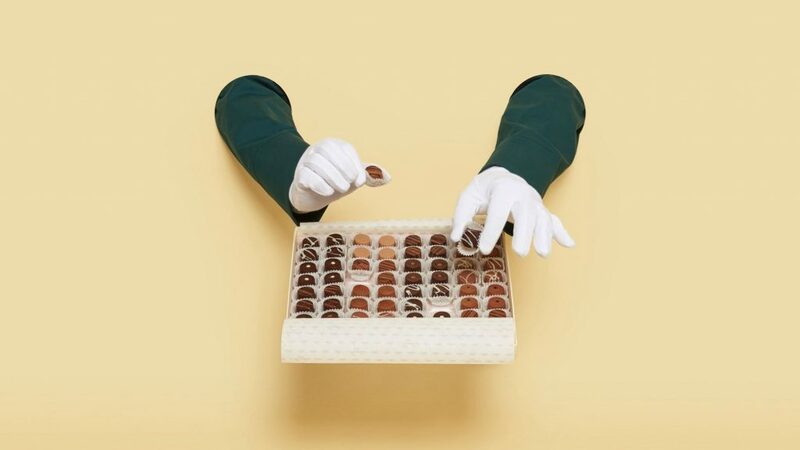 Content may not be bearable for readers with a sweet tooth. If you can’t afford Prada shoes, stress no more. 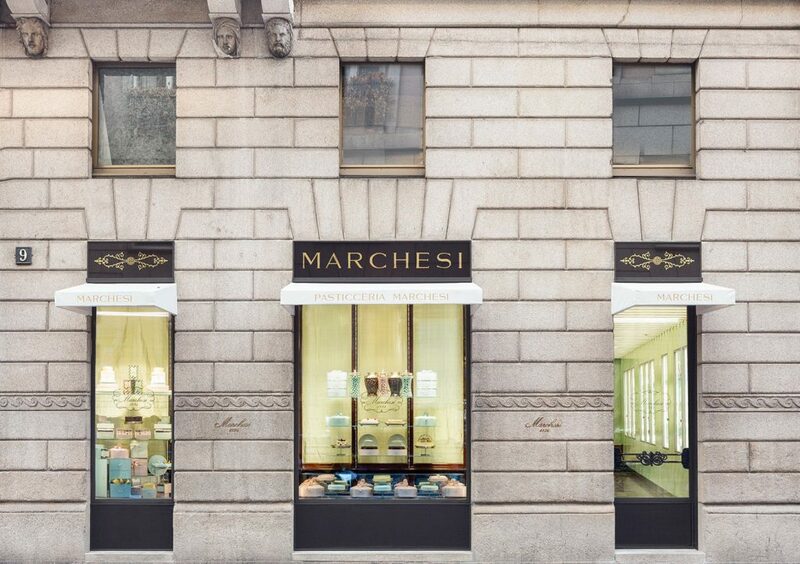 You can still step into the Italian lifestyle of luxury at Pasticceria Marchesi, one of the best design cafes in Milan. 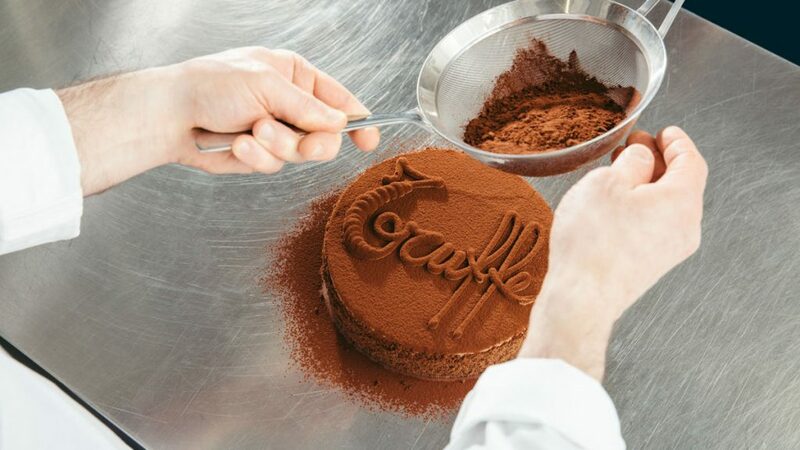 The attentive service and impeccable aesthetic will lift your spirits whether you’re stopping in for a solo lunch, picking up a handmade birthday cake, or enjoying evening cocktails with friends. 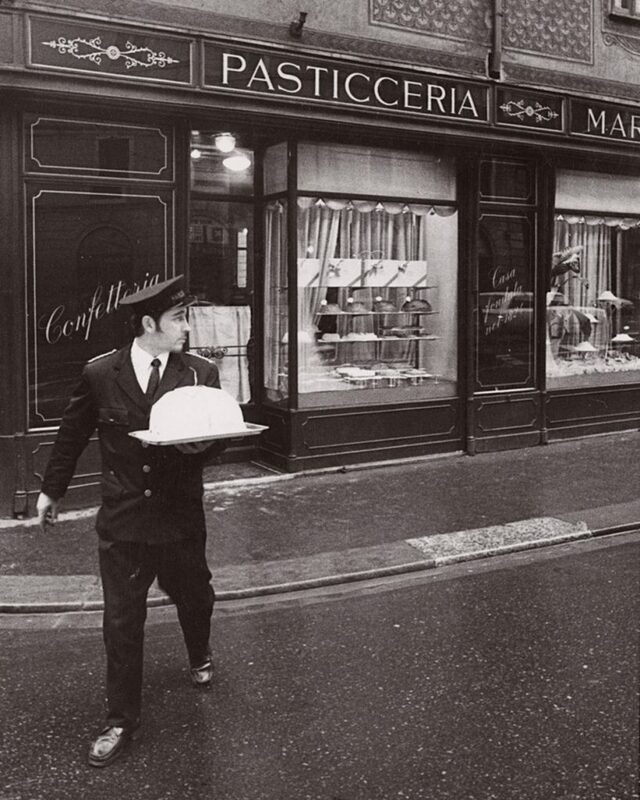 Angelo Marchesi opened the doors to the eponymous Pasticceria in 1824, founding this historic Milanese café and pastry shop. 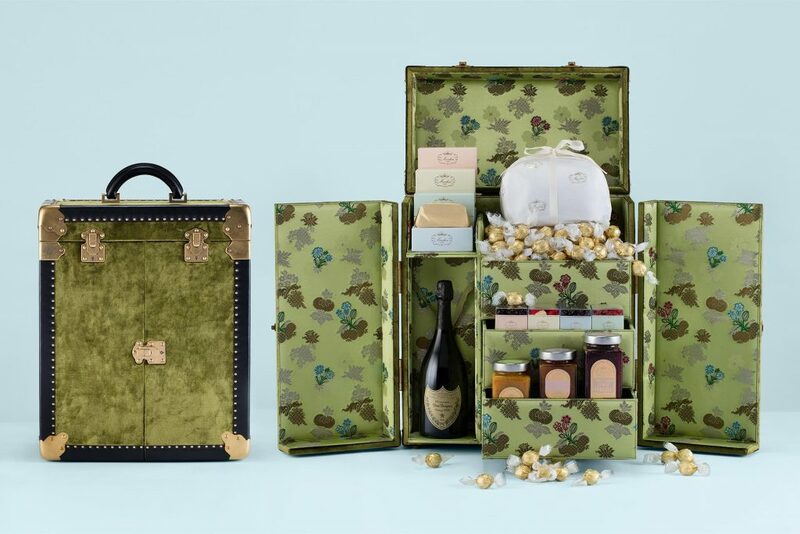 It has held its reputation in Milan throughout nearly 200 years with a focus on craftsmanship and dedication to quality. 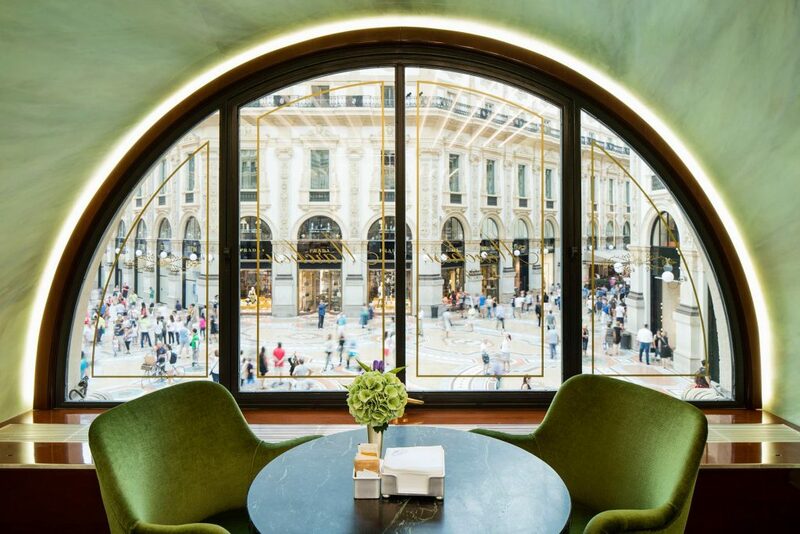 The original location of the Milanese café has been joined by two additional cafés- one on via Monte Napoleone next door to Versace and the other on Prada’s Men’s store mezzanine level in Galleria Vittorio Emanuele II. 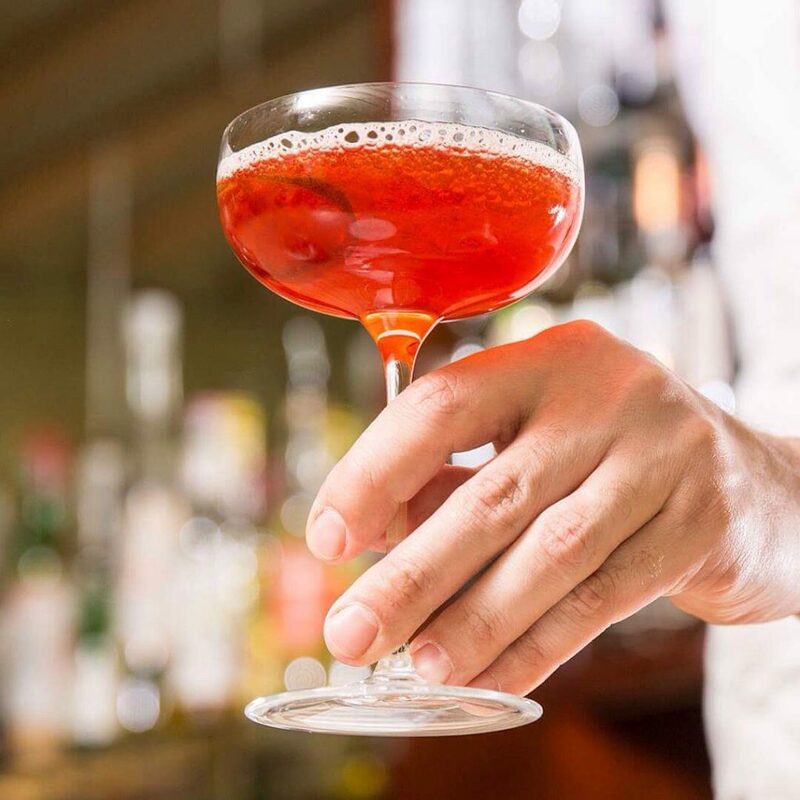 Each location has a common menu and maintains the highest standard of Italian design, style, and taste. 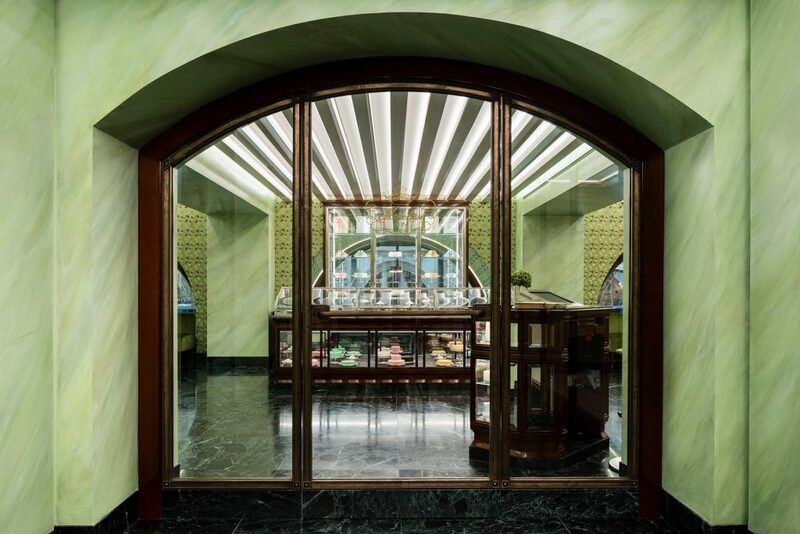 Prada Group, which has taken entire ownership of the family brand and triplet of locations, is continuing the Marchesi legacy with respect for tradition. 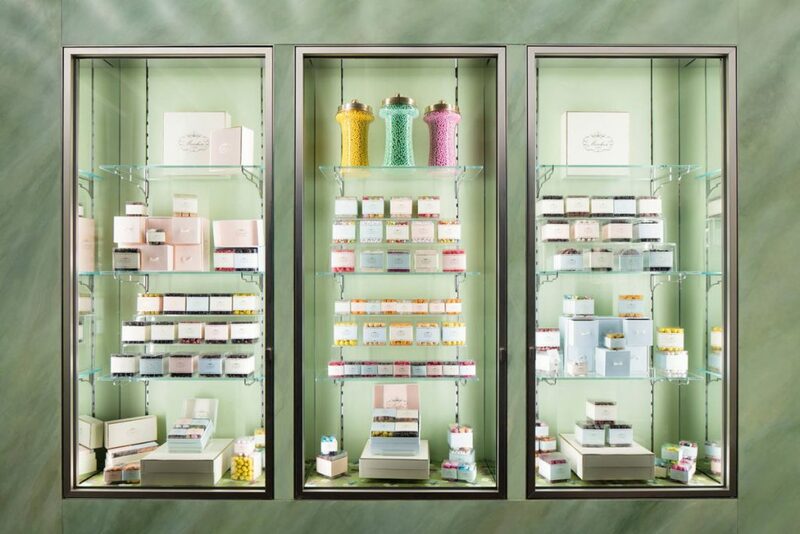 The Marchesi taste remains refined, exclusive, and committed to excellence from top-tier ingredients to sustainably sourced, organic teas. 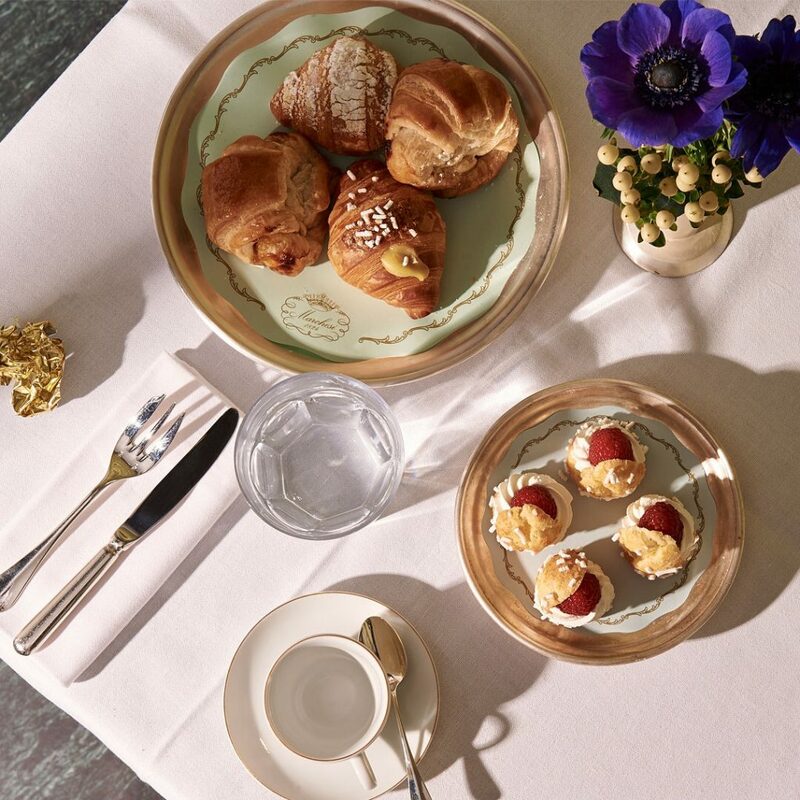 The crowds at Marchesi are consistently eclectic with elegant Milanese enjoying teatime, couples sharing an aperitivo, and tourists snapping photos of divine pastries and fresh flowers from a kiosk down the road. 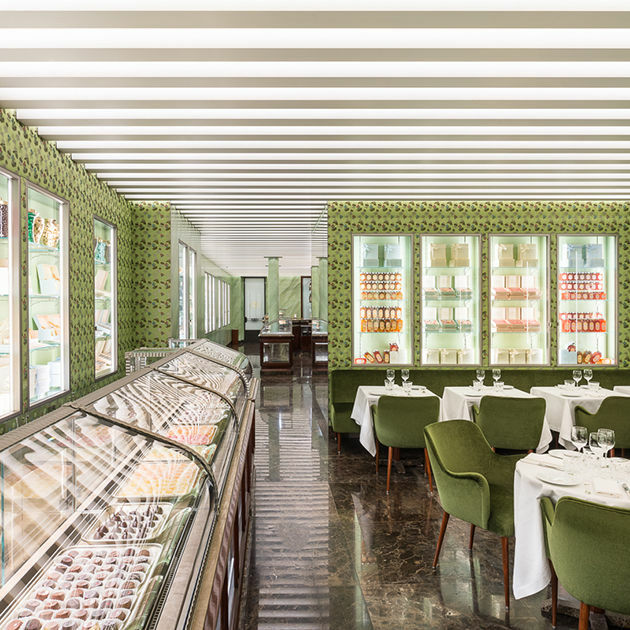 The interiors are an equal delight to the tasty treats, as designed by architect Roberto Baciocchi and orchestrated by Marconi, responsible for the interior design and custom furniture. 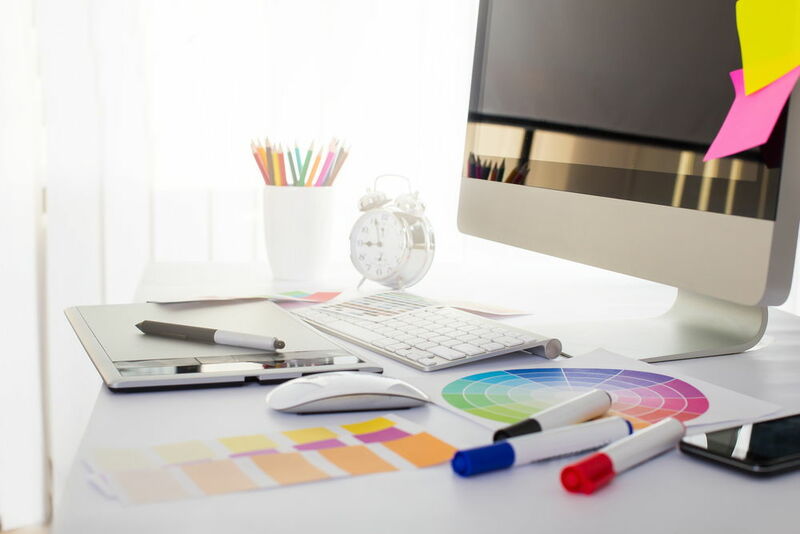 Décor is ornate without being gaudy. 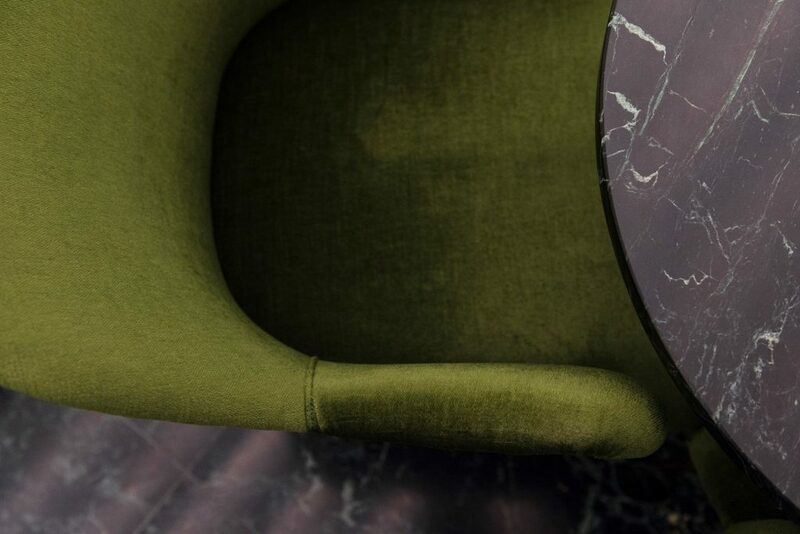 If the velvet touch of your seating isn’t enough, the silk effect of marmorino walls in a shade of jade will push you over the marbled edge. 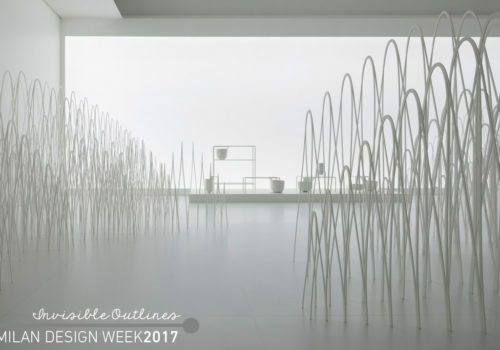 The appealing shades of green- sage, celery, and avocado- are consistent with Elisabetta’s forecast of color trends in 2018 and strike the perfect balance between classic and contemporary. Why not order one of each? 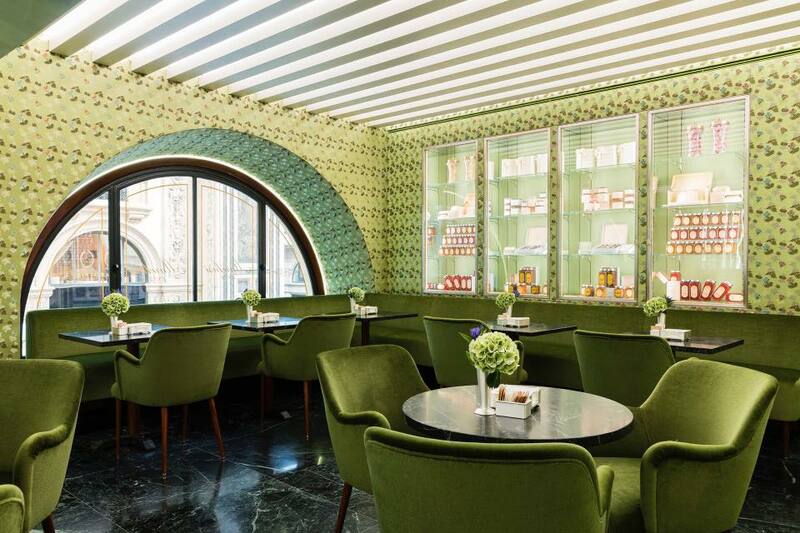 No trip to Milan would be complete without a visit to one of the Marchesi cafés. 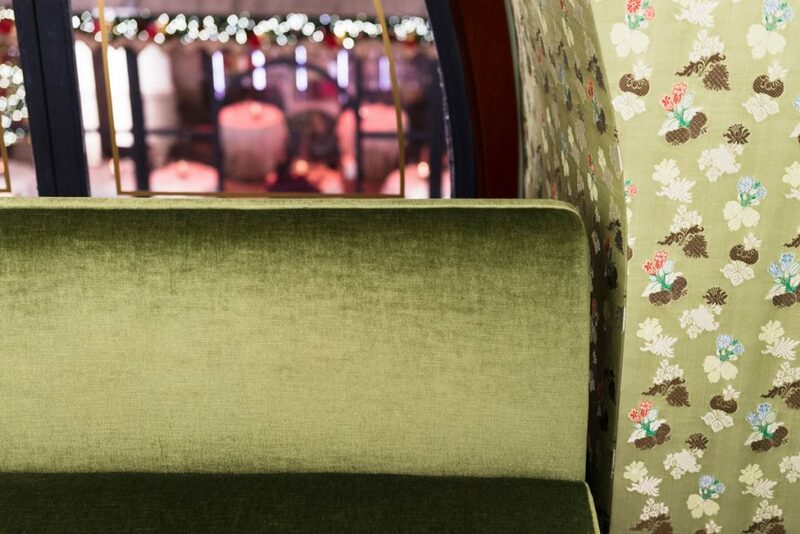 It’s one of the places to go in Milan and the perfect atmosphere to take a pause in after a long day of shopping or a tour of CityLife Milano. 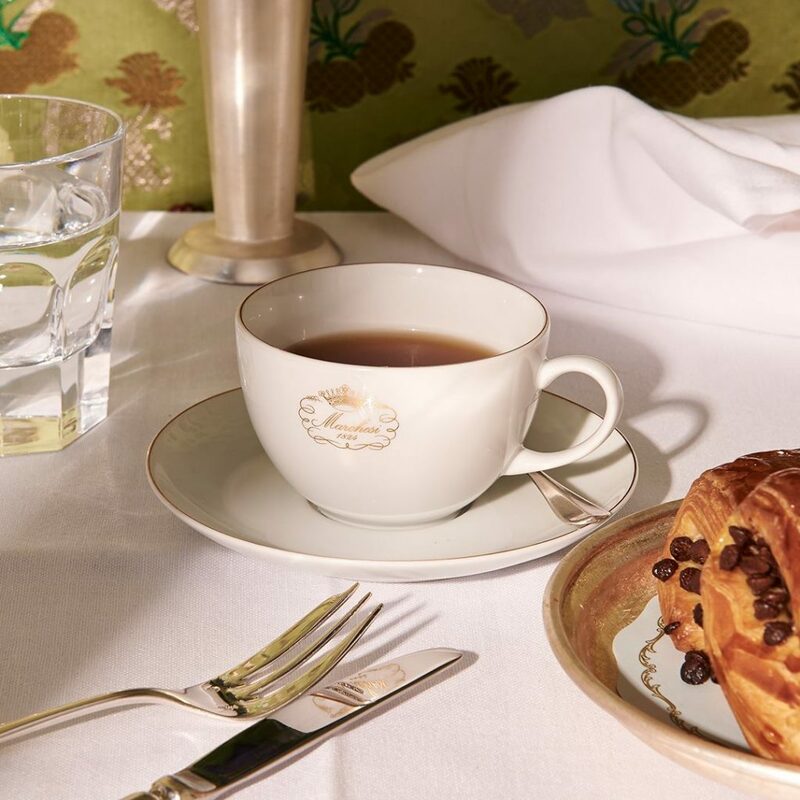 Any of the three locations are ideal for a chic welcome or stylish send-off for visiting friends/family. Have you booked your flight yet?! 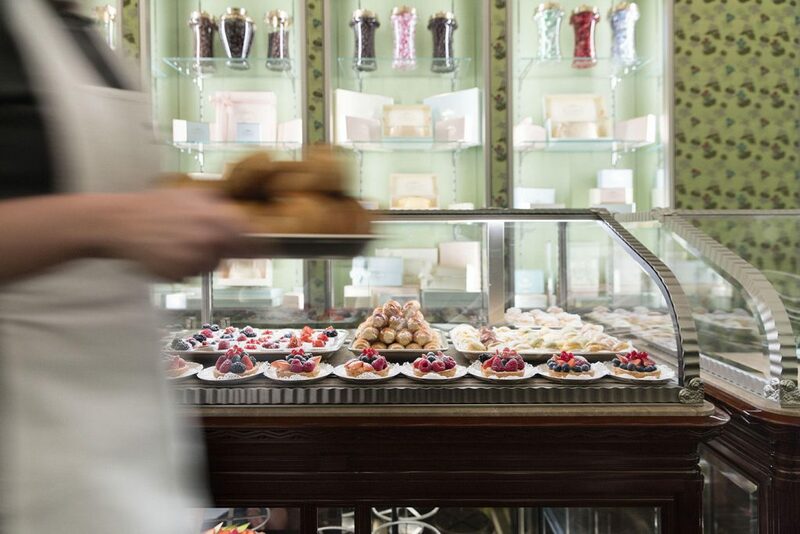 Or made an immediate stop at your own neighborhood pastry shop? Stay tuned for more indulgences from Milan! 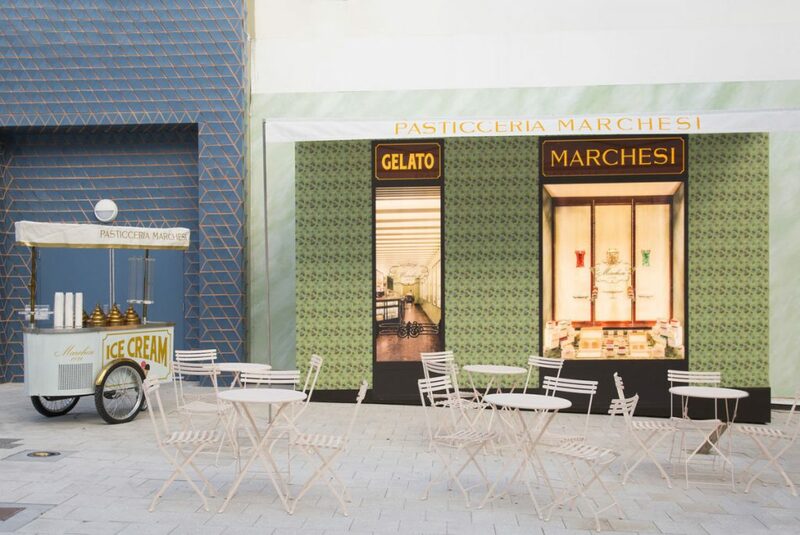 All photos are courtesy of Pasticceria Marchesi’s Facebook and Instagram pages unless otherwise stated.